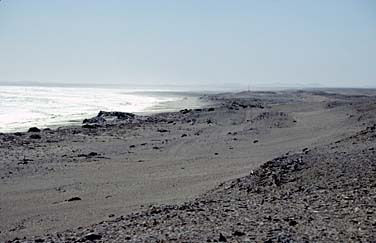 We drove 110 kilometres further across the uninhabited desert and stopped near the gate to the nature reserve that aims to preserve the narrow strip of coast that stretches out 500 m from here to the Angolan border. 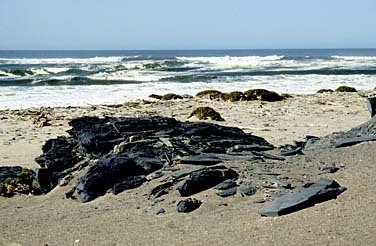 It is called the Skeleton Coast. 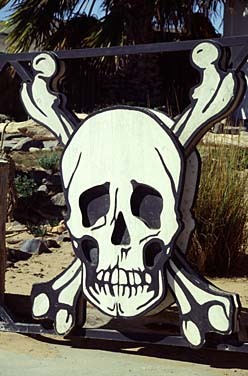 The gate is decorated with a huge skull and bones reflecting the name. We did not even want to think what would have happened if our car had broken down. During the whole drive we had not even seen a single car. Nobody had passed the gate for a couple of days. 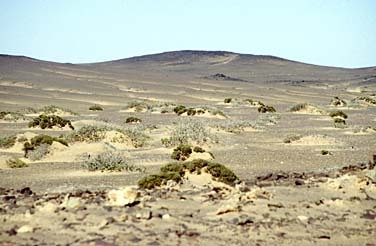 The landscape of the reserve is very unusual. I had never expected that dry deserts could be so beautiful. 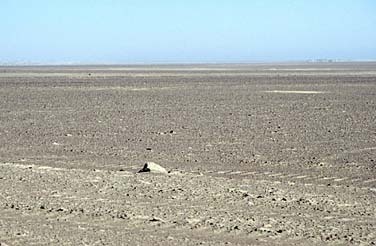 There is virtually no life there, there is no vegetation, only gravel and sand. 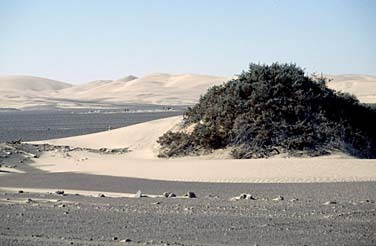 The desert constantly changes its pastel colours. 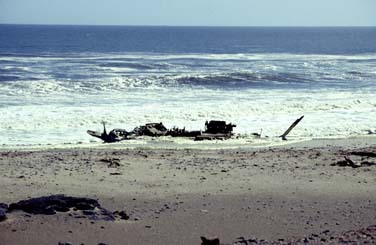 The incredible atmosphere of this place is enriched by the shipwrecks on the beach. There are signs informing about their locations. 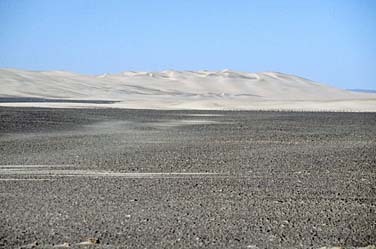 Seventy kilometres north of the gate we saw the first sand barchans (dunes) rising from the gravely desert. They stretch out from here to the Angolan border. The road splits here. We took the right fork that goes eastwards and leads to the mysterious land called ...Damerland.